October 27, 2009 - During the next few days in Hispanic homes throughout this country, there will be people invoking the spirits — asking dead relatives to come back into their homes. In their living rooms — and even out in their yards — many Mexicans and Central Americans will build altars with pictures and mementos of their deceased loved ones. They will burn candles and incense. And they will make offerings to the dead — food, flowers, the favorite smoke or drink, and even the favorite music of the departed. To those who don't know Hispanic culture, all this may create the impression that this is something scary or morbid. But no, senor! It's quite the opposite. This is not a somber occasion. This is a happy time, a celebration of the continuity of life. It's a wonderful holiday. Actually, it's three of them — Oct. 31 and Nov. 1 and 2. 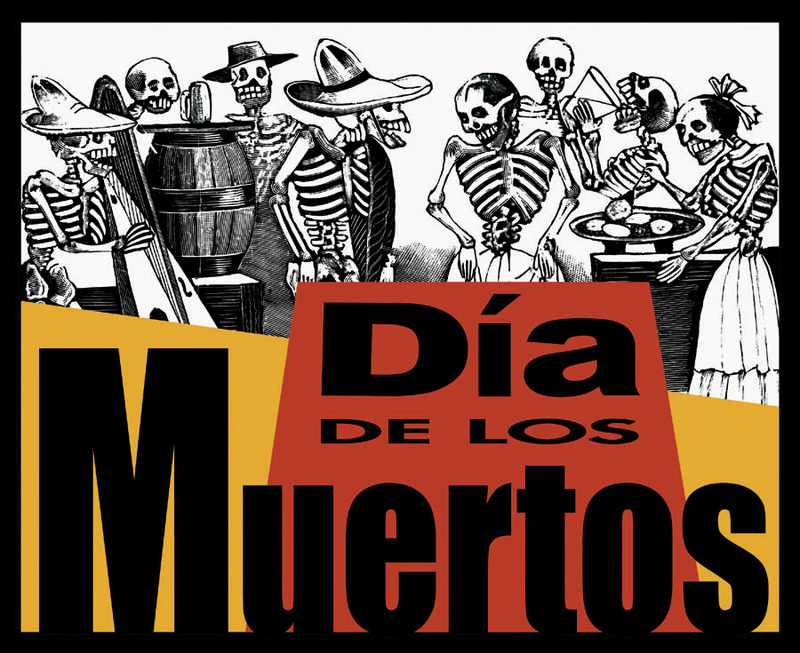 It's called "El Dia de los Muertos" — The Day of the Dead — but it's really about how they go on living — perhaps only in our memories, perhaps not. Don't be confused by the skulls. They often are made of candy. Don't be scared by the skeletons. Please notice that they are often happy lads — some of them even playing in mariachi bands. In fact, in Mexico, mariachi bands will be in high demand for the next few days. They will be booked to perform in churches, community centers, festivals and especially cemeteries, where graveside fiestas are very common. Across the United States, wherever there is a large community of Mexicans or Central Americans, this week there will be lectures, church services, festivals, parades and exhibits of art and altars. In Hispanic community centers and other places where the elders try to pass on traditions to younger generations, Latinos of all ages will build community altars. And when they gather around those altars, they will tell stories and even jokes about the people being recalled from the dead. They might even eat the deceased's favorite food or drink his preferred liquor or sing his favorite songs. But it's all a happy occasion — no sobbing allowed. Community altars serve another important purpose: They welcome back the dead who no longer are remembered. If there is no one left alive to recall they existed, they still can come back on the Day of the Dead. These altars often feature hanging paper mache ornaments. Devout followers of this tradition say that if the paper moves, the wind should not be blamed. They believe this is the work of the spirits. These ancient rituals date back to the time of the Aztecs, who welcomed their dead at the end of July and beginning of August. But over the years, it became a blend of Aztec and Christian traditions. After the Spanish conquest, the holidays were moved by Catholic priests so that they coincided with the Christian holidays of Allhallows Eve, All Saints' Day and All Souls' Day. 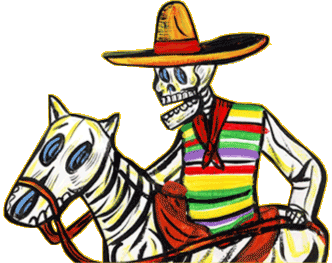 And as a result, El Dia de los Muertos is celebrated — even by the Catholic Church in Latin America — at the end of October and beginning of November. Unlike Halloween, which is a pretend game mostly for children and adults in masquerades, the Day of the Dead is much more an observance of real life and death; there are no devils or demons involved. There is nothing spooky about it. Curiously, both holidays are based on the premise that there is a time once a year when the spirits of the departed come back to mingle with the living. Those who follow the Dia de los Muertos tradition say they are doing it to honor the dead. And surely, they are. But they also are doing it for themselves — to fill voids left by people's absences, to evoke memories of people, even if it's just by tasting or smelling or feeling the things that made those people smile. "If they liked to drink when they were alive," a Mexican friend once told me as he placed a half-empty bottle of tequila on an altar for his father, "that's what you have to offer them when they come back." Published at Creators.com - A Time To Welcome the Spirits - on October 27, 2009.